Having planted vineyards when I was 6 years old and now being a winemaker, some might assume a classic Hollywood-like progression. However, I am not the poster boy for the wine industry. In fact having grown up in the family’s vineyards and winery, I couldn’t wait to do something, or anything, different. I did graduate from UC Davis in 1989, but my degree is in Macro Economics. So then, how does one succeed “escaping” the wine industry and then find himself some 25 years later owning vineyards and two wineries? Personal evolution (yep, that sounds good!). My interest in wine is rooted in vine. I love growing grapes and finding the purest expression of our vineyards in the wine. Given the choice, my office would be a tractor and my time spent purely in the field, as that is from where the true quality of wine comes. This purest expression of our terroir is only found if we do the best job in the vineyards and take a minimalist approach in the winery. This means that I am less a winemaker and more a “wine elaborator.” Or more simply put, taste the vineyard, not the winemaker! 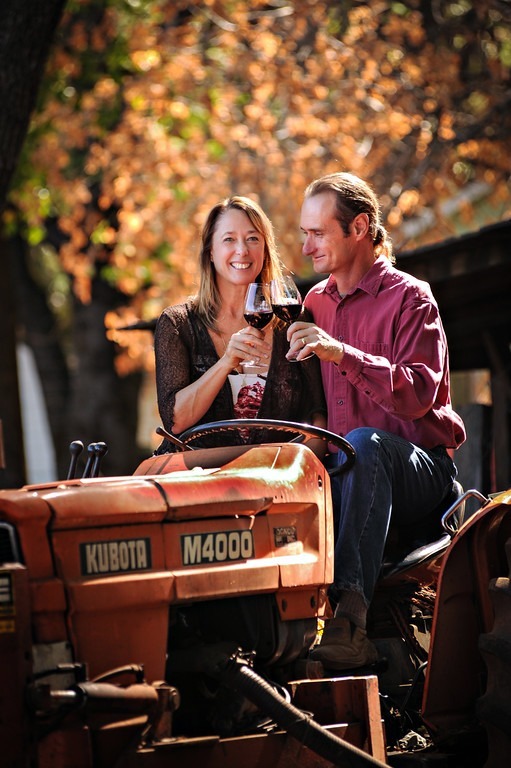 Personally, one cannot ask for a more fulfilling quality of life than owning a winery. I get to work every day with my wife Maggie (whose background is finances). She runs the wineries and I make the wines. Add to this that we work with wonderful people, live in a beautiful region, and get to enjoy the fruits of our labors in a glass. We do live the dream. And that has been our personal evolution. Join Paul & Maggie Bush on a voyage down the stunning Douro River, visiting the best of Portugal’s “quintas” and bodegas along the way. Please note: The Flavors of Portugal & Spain wine tour and boat cruise package from Porto to Madrid is created solely for Madrona Vineyards by our tour operator, ToursandWine.com (by Expanding Horizons) of Tustin, California, in conjunction with AmaWaterways. The program will contain private meals, tours and/or visits to attractions outside of scheduled cruise activities. These additional services are exclusive to guests on this cruise who book their reservations with Expanding Horizons. Persons booking with alternative travel agencies will not be included in these activities.